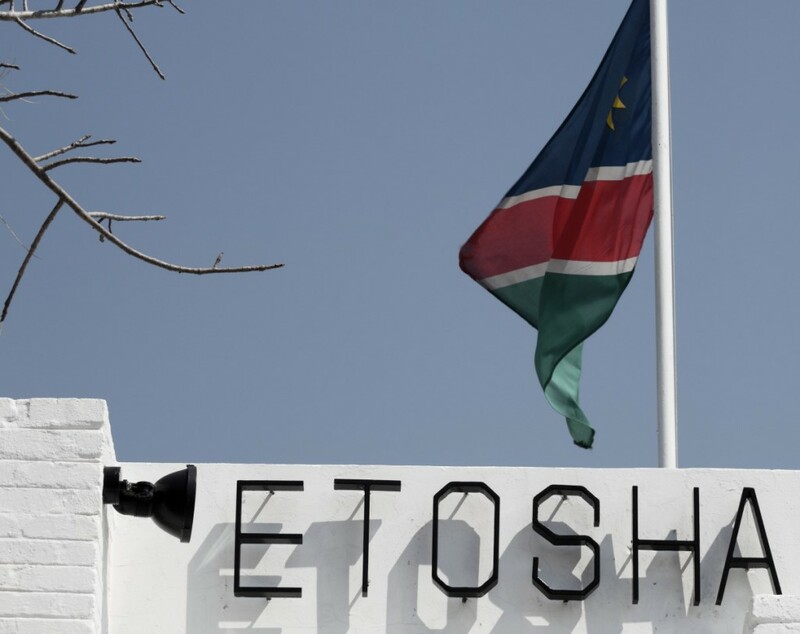 Etosha, The Great White Place. 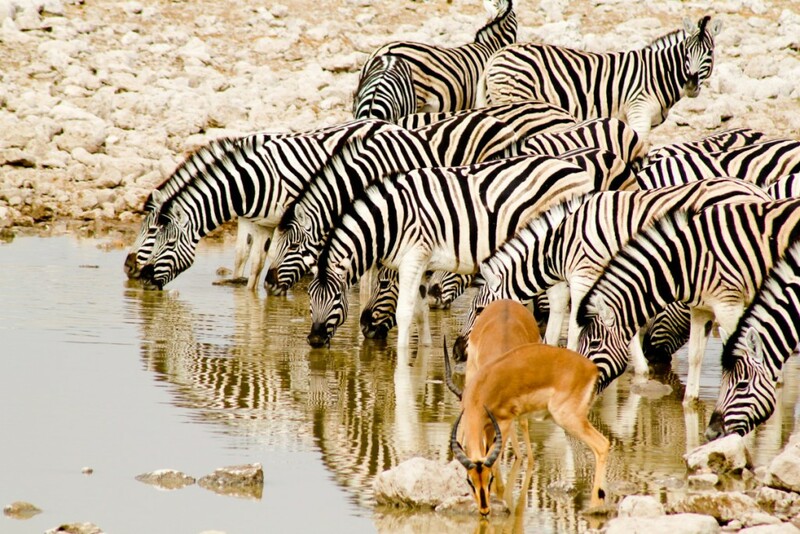 I’m sure that you’ve read a hundred personal accounts of why Etosha was amazing and why you should visit. I’m not going to tell you that. 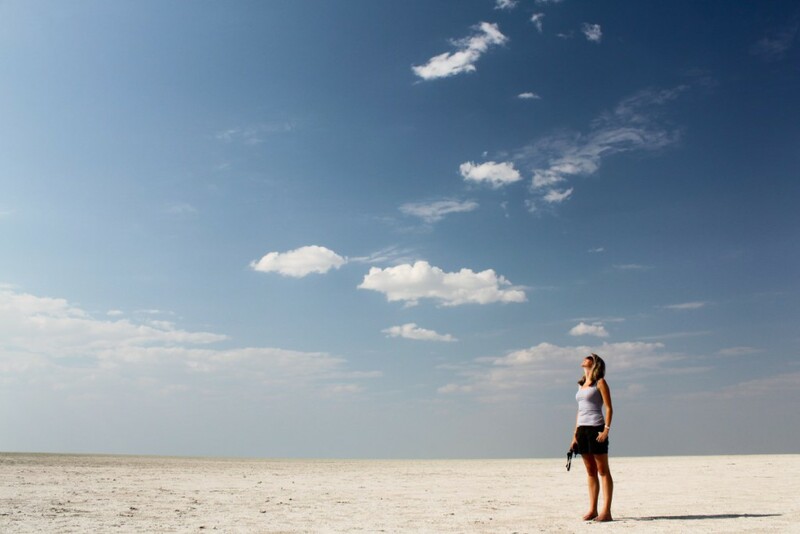 In fact I’d like to keep my Etosha experience all to myself. I’d like to keep all that incredible bright white mind-expanding open space free from anyone who might, for the briefest second, take it for granted. For me, ever since I drove out of the gates after my visit, all I have wanted to do is go back. 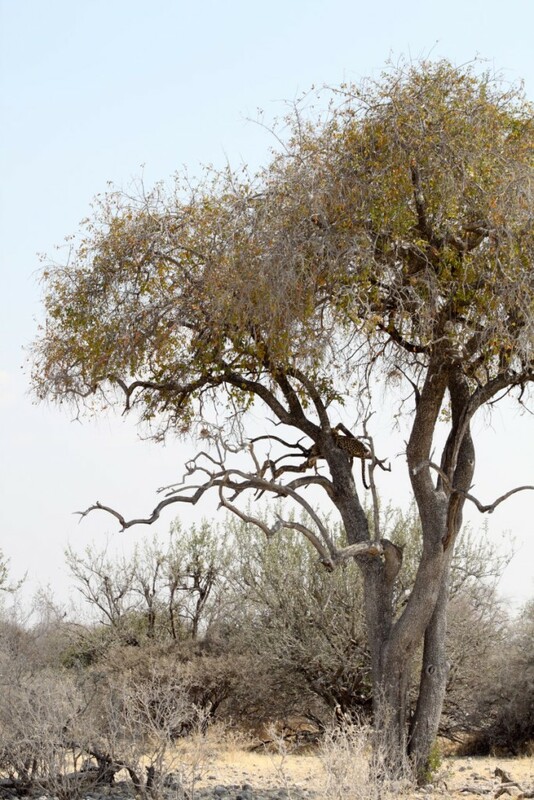 Yes it’s true, Etosha is one of the most wonderful places Southern Africa has to offer. The hype I had created in my mind hardly came close to the feelings I experienced on entering Etosha National Park for the first time. Yellowing photographs of my parent’s visits before I was born all but hinted at the true wonder of the park. Travelling some what backwards, from the usual tourist flow, we entered in the eastern Von Lindequest Gate and made our way to Namutoni Camp to do the necessary entry paperwork. Initial disappointment at the tardiness and general apathy of the staff we encountered was soon forgotten as we sat at a waterhole watching the antelope drinking away the midday heat. 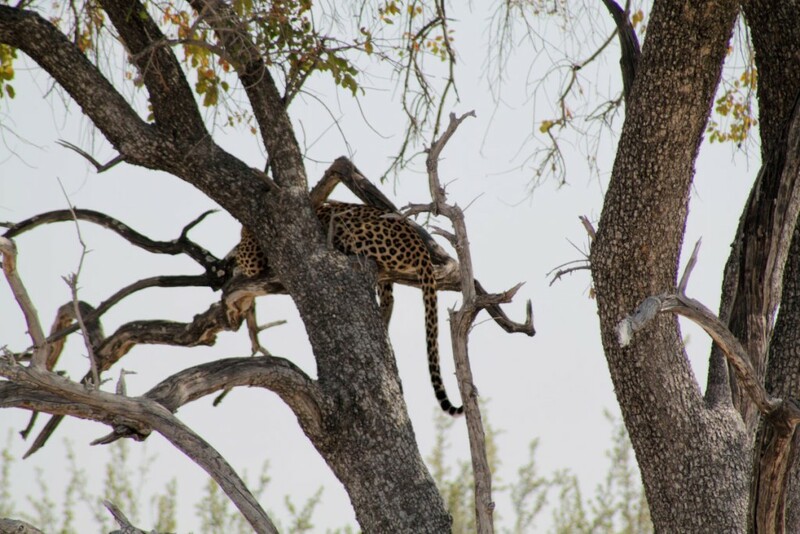 A friendly couple in the car at the waterhole frantically gestured to us that a leopard had been spotted nearby. We followed the other cars and jostled for the perfect view as we watched it dozing in the tree. The light not really in my favour for that award winning shot, we settled for a few hundred pictures of its tail and silhouette. Our destination was Halali the next camp along and we made our way there slowly stopping for birds and waterholes along the way (yes I am a bird nerd). 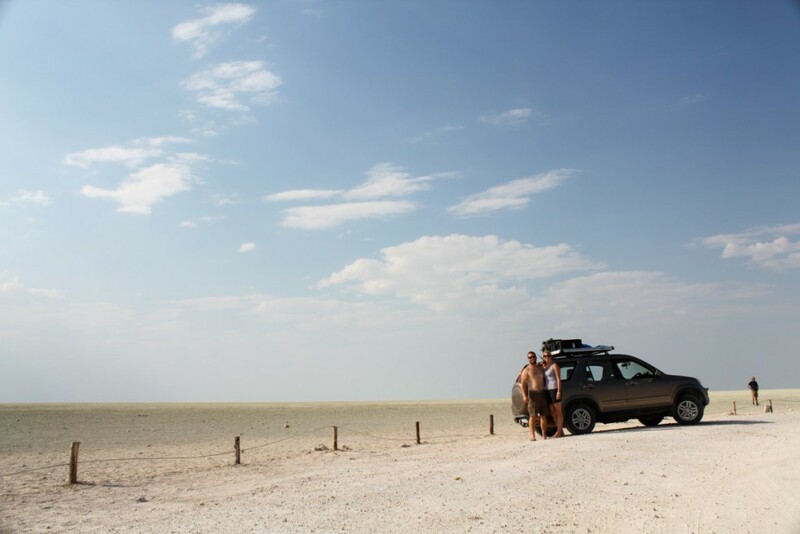 What was my one dream for when I finally reached Etosha? It was to walk out on the pan and take one of those cliché jumping/standing/endless horizon photographs. We found a spot where we were allowed to exit the car (international readers please take note of where you are allowed to get out of your car in these parks it’s very dangerous to not pay attention to this) and we wandered out on to the pan, set up the tripod and clicked away a bucket list item. 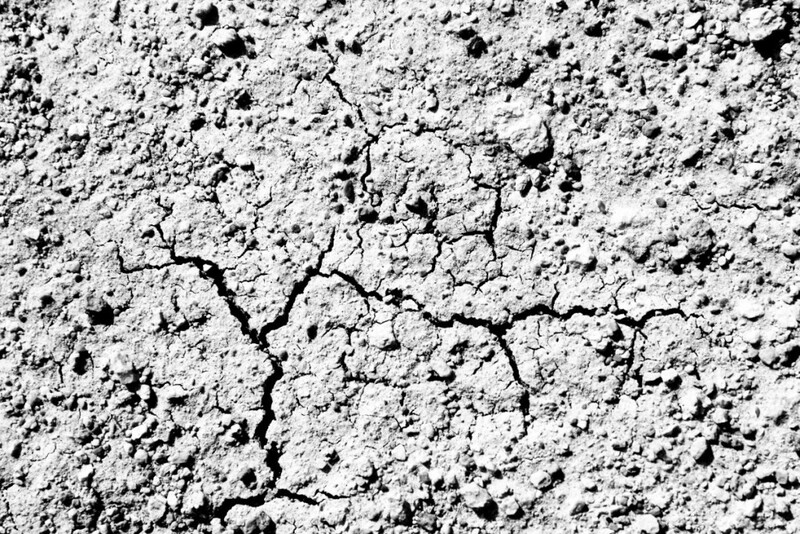 The close up surface of the pan. Hot and dusty but happy. Sadly our stay at Halali was ruined by a crappy room (yes we should have camped but I was doing a review on the lodge rooms), an even crappier attitude from the staff and a crappier than crappy experience at dinner. Not to allow anything to ruin my Etosha stay we settled for two minute noodles, a makeshift salad and a beer out on our almost veranda. So we planned to get up at the crack of sparrows (yes that’s my version) to complete our journey all the way to the far west Dolomite Camp and make the most of the daylight hours. In total it took us 8 and half hours to drive through the remainder of the park – this is another long story to be written separately- but we passed the lovely Okaukuejo Camp stopping briefly to post a postcard and sit at the waterhole. 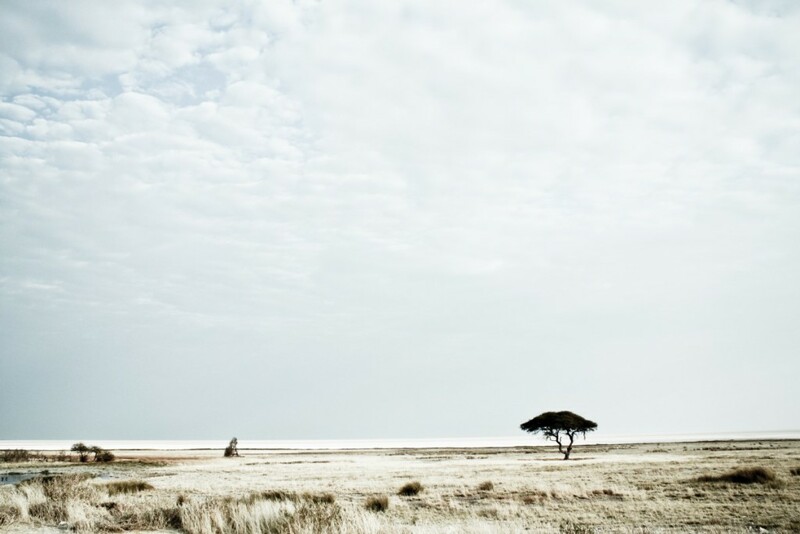 Realising then that this is what Etosha is about, sitting, waiting and watching I wished I had planned my trip better. The rest of the day was spent in the car driving non stop and barely passing another vehicle until we reached the stunning Dolomite Camp. The next day, sadly, it was time to leave as I had a pressing itinerary to stick to but it was not without a mix of elation and regret. We should have stayed longer. The water hole at Okaukuejo. 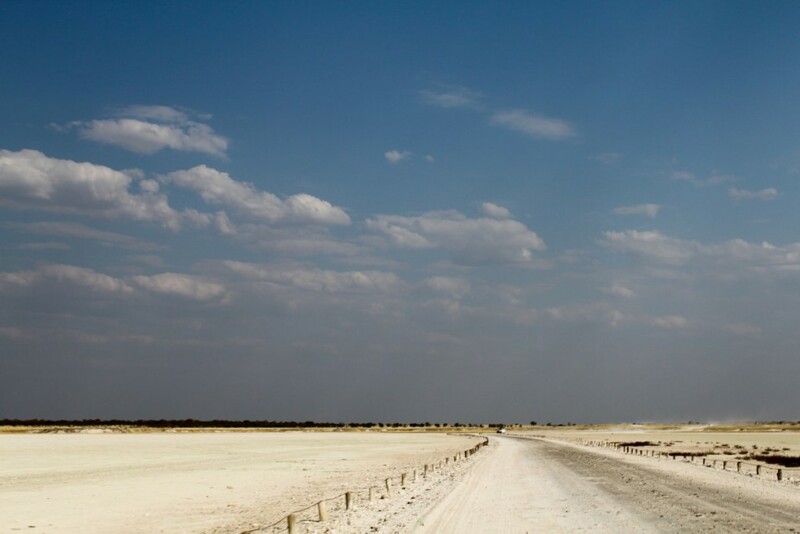 I want to go back to Etosha when I have endless days and nights to sit under that sky or stare out over the pan. When I can lie in my tent at night and hear those perfect bush sounds that take me to my happy place. I want to spend all day at the water hole at Okaukuejo instead of the 20 minutes I had as we passed through. I want to see more of the vast herds of antelope that we found in the Western side, tails whipping away the flies, dust billowing around hooves, ears twitching with alertness. 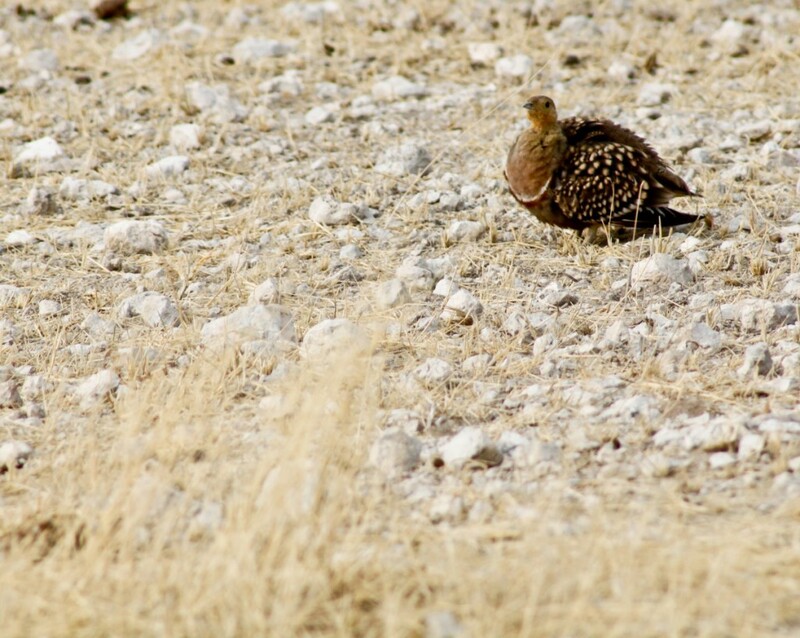 I want to listen to the clattering call of the gregarious Namaqua Sand Grouse as they arrive and leave in flocks. I want to stand on the edge of pan and see the horizon bend because it is uninterrupted. I want to watch the white clouds of dust plume out behind us as we drive and the sun rise through the acacia trees. Take me back to Etosha, that great white remarkable place; take me back.